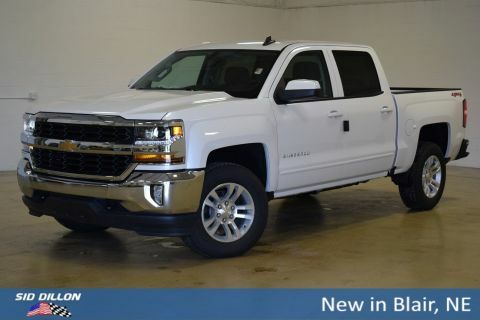 This Chevrolet Silverado 1500 has a powerful Gas V8 5.3L/ engine powering this Automatic transmission. 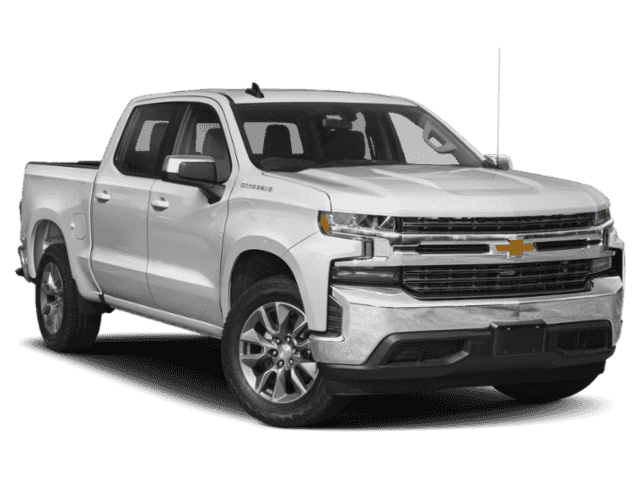 Z71 OFF-ROAD PACKAGE includes (Z71) Off-Road suspension, (JHD) Hill Descent Control, (NZZ) skid plates, (K47) high-capacity air filter and Z71 hard badge Includes (N10) dual exhaust, (PZX) 18 bright silver painted wheels, (XCK) 265/65R18 all-terrain, blackwall tires, (G80) locking differential and (NQH) 2-speed transfer case., Z71 OFF-ROAD AND PROTECTION PACKAGE includes (Z71) Z71 Off-Road suspension, (JHD) Hill Descent Control, (NZZ) skid plates, (K47) high-capacity air filter and Z71 hard badge Includes (WPQ) Protection Package and (AAK) All-weather Z71 floor liners, LPO., WINDOW, POWER, REAR SLIDING with rear defogger. 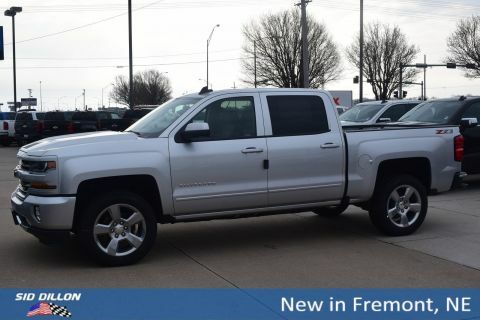 TRAILERING PACKAGE includes trailer hitch, 7-pin and 4-pin connectors and (CTT) Hitch Guidance, SEAT, CLOTH REAR WITH STORAGE PACKAGE 60/40 folding bench for Crew Cab models, includes seatback storage on left and right side, center fold out armrest with 2 cupholders and underseat jack storage, CONVENIENCE PACKAGE II includes (UG1) Universal Home Remote, (A48) rear sliding power window, (KI4) 120-volt power outlet, (KC9) 120-volt bed-mounted power outlet, (IOS) Chevrolet Infotainment System with 8 diagonal color touch-screen with (MCR) USB ports, (U2K) SiriusXM Radio, (U2L) HD radio and (UVB) HD Rear Vision Camera Crew Cab models include (R7O) Cloth Rear Seat with Storage Package. 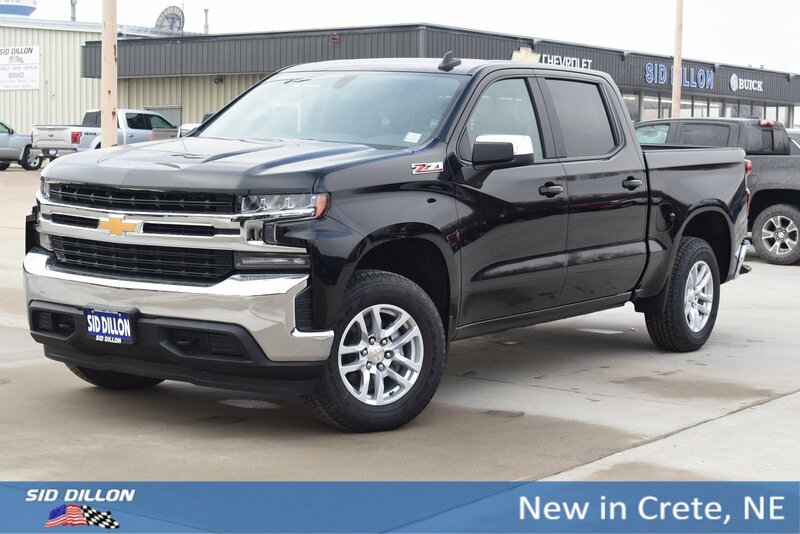 ), CONVENIENCE PACKAGE includes (CJ2) dual-zone automatic climate control, (A2X) 10-way power driver seat including power lumbar, (KA1) heated driver and passenger seats, (KI3) heated steering wheel, (N37) manual tilt/telescoping steering column and (USS) 2 charge-only USB ports for second row, (C49) rear-window defogger, (KPA) auxiliary power outlet, (ATH) Keyless Open and Start, (NP5) leather-wrapped steering wheel, (N06) steering column lock, (BTV) Remote Start, (UTJ) content theft alarm, (AZ3) front 40/20/40 split-bench with underseat storage, (QT5) EZ Lift power lock and release tailgate and (UF2) bed LED cargo area lighting, BED PROTECTION PACKAGE includes (B1J) wheel house liners and (CGN) Chevytec spray-on bedliner, ALL-STAR EDITION includes (PCL) Convenience Package, (G80) locking rear differential and (Z82) Trailering Package, ADVANCED TRAILERING PACKAGE includes (PZ8) Hitch Guidance with hitch view, (U1D) Advanced Trailering System and (PTT) Trailer Tire Pressure Monitor System , USB PORTS, DUAL, CHARGE-ONLY (2ND ROW), USB PORTS (INSTRUMENT PANEL WITH BENCH SEAT), 2 also includes 1 SD card reader (first row), UNIVERSAL HOME REMOTE.